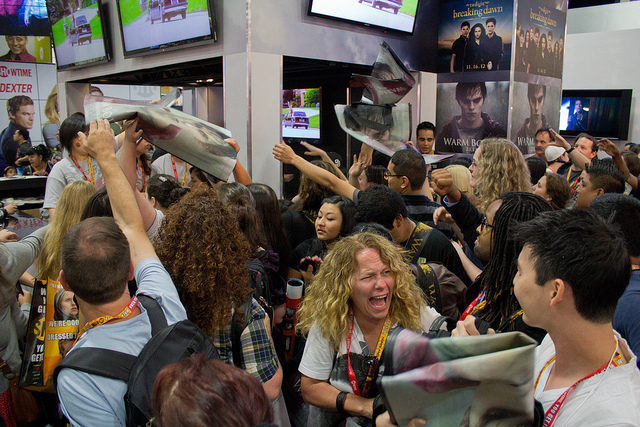 As awesome as Comic-Con is, it does take some ‘event savvy’ to make the most of your experience. Even the most seasoned veterans can end up taking a wrong turn or standing in the wrong line- resulting in frustration or losing precious time. Over the next couple of months, I will be collecting all my 2014 Tip of the Day Posts that cover random advice, big and small, to help you maximize your 4 1/2 days in San Diego. Feel free to comment below with some tips of your own! Tip of the Day #14: Comic-Con Prep Podcast! Tip of the Day #11: Your Tips and Suggestions! Tip of the Day #8: What Are Exclusives? Tip of the Day #7: Three Months and Counting! Tip of the Day #6: I Didn’t Get a Hotel, Now What?! Tip of the Day #5: Which Hotel is Right for You? Tip of the Day #4: Cardio! Tip of the Day #2: Is Preview Night Worth It? Tip of the Day #1: What Days to Buy? Check out all of the previous Tip of the Day posts!